Whitepapers, how-to guides, e-books, and more are available for free download from Cadalyst and our sponsors. 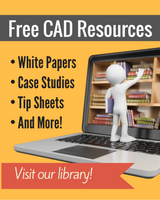 Check out the following free resources that can help you make the most of the hardware and software that powers your CAD workflow. New! What Makes a Mobile Workstation? Cadalyst has asked the question, "What makes a mobile workstation?" before, but in today's fast-moving market, the answers are changing. This overview explores the rapidly evolving market, describes the three primary product tiers, and explains why professional-grade components or systems can better serve designers and engineers. Download this updated guide to learn about new technologies affecting the market, which factors differentiate mobile workstations from standard laptops, and what to expect from entry-level, midrange, and high-end models. From the editors of Cadalyst. Download now. 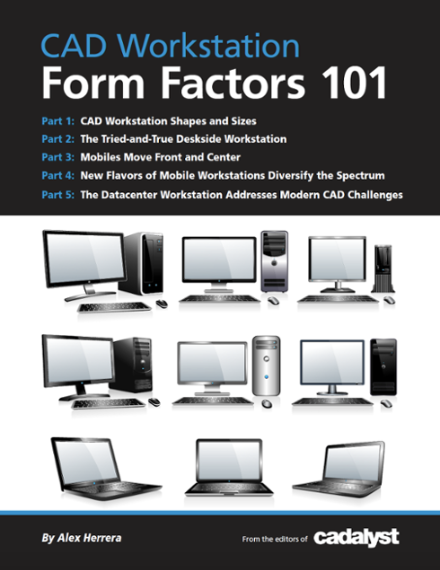 With so many types of workstation models on the market today — and new arrivals appearing all the time — the options for CAD professionals have become much more diverse. While the proliferation of mobile, mini, remote, and even luggable form factors creates more flexibility, it also can create confusion. 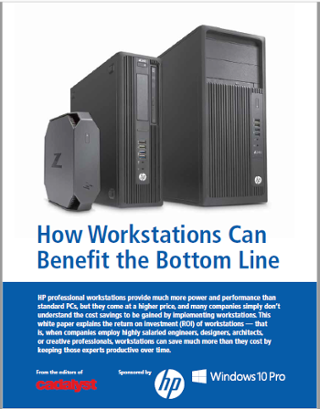 To get a clearer view of your options, download this 30-page guide, which compiles workstation expert Alex Herrera's entire five-part form factor series into one convenient resource. 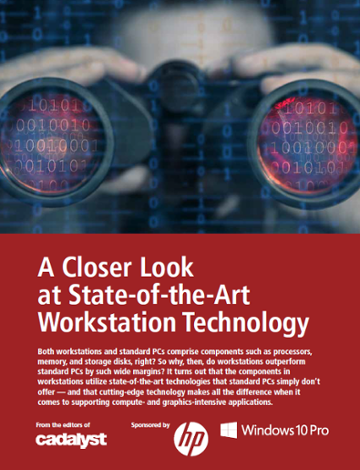 It's packed with clear, detailed explanations and illustrations that can inform your workstation selection process. From the editors of Cadalyst. Download now. New! Workstation vs. PC: Which Performed Better? 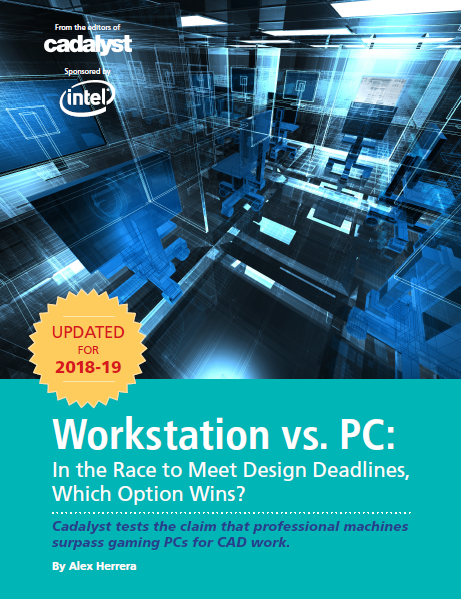 In the race to meet design deadlines, which options wins — a gaming PC or a professional workstation? 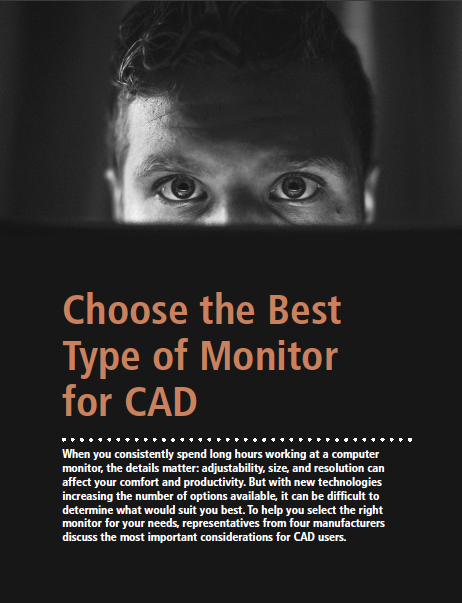 Led by hardware expert Alex Herrera, Cadalyst put that question to the test, running CAD-related benchmark tests to evaluate the performance of a $2,200 professional CAD workstation against a $2,100 PC outfitted for gaming. See the results in this 11-page white paper — based on actual benchmark results — and decide for yourself which option makes sense to support your workload. Sponsored by Intel. Download now. When it comes to the options available in workstation-caliber CPUs for CAD professionals, OEMs and users alike are seeing an expanding choice of brands and configurations to choose from. 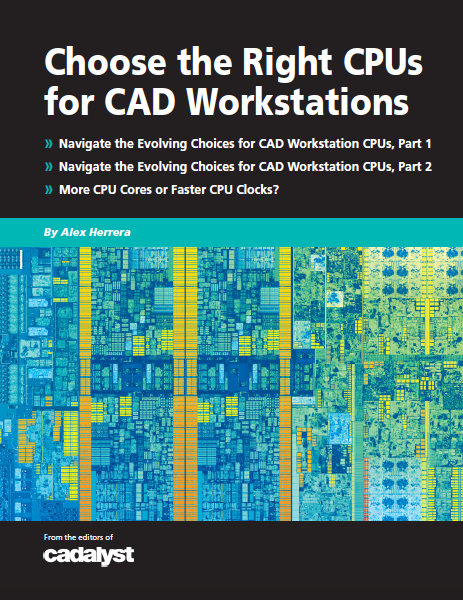 And while that might make for a more challenging shopping exercise, a few simple guidelines from workstation expert Alex Herrera can help you narrow choices down quickly and outfit your next CAD machine with an optimal CPU for your workload. From the editors of Cadalyst. Download now. Both workstations and standard PCs comprise components such as processors, memory, and storage disks, right? So why, then, do workstations outperform standard PCs by such wide margins? CAD management expert Robert Green explains how the components in workstations utilize state-of-the-art technologies that standard PCs simply don’t offer — and that cutting-edge technology makes all the difference when it comes to supporting compute- and graphics-intensive applications. Sponsored by HP and Windows 10 Pro. Download now. 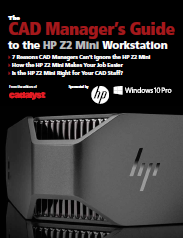 "7 Reasons CAD Managers Can’t Ignore the HP Z2 Mini," "How the HP Z2 Mini Makes Your Job Easier," and "Is the HP Z2 Mini Right for Your CAD Staff?" Download your copy now to learn why and how this miniature marvel could be just the answer for supporting 2D and entry-level 3D CAD work without breaking the bank. Sponsored by HP and Windows 10 Pro. Download now. You’re not looking to splurge on all the bells and whistles; you just need a reliable machine that will get the job done. But what type of configuration will meet your needs? And which components and capabilities are must-haves? The sample configurations and expert advice in this guide will help you decide. From the editors of Cadalyst. Download now. To help you choose the right monitor for your needs, experts from four monitor manufacturers — BenQ, Lenovo, NEC Display Solutions, and ViewSonic - share their perspectives in this seven-page white paper. The guide addresses the most important considerations for CAD users, including QHD vs. UHD/4K resolution; flat and curved form factors; viewing angle; and more! From the editors of Cadalyst. Download now. Selecting an input device that works for you is essential, because you'll use it all day, every day. Do you need low cost or high comfort? Corded or wireless? Trackball or vertical grip? To determine which mouse belongs in your house, start with this one-page overview that sorts the many options into needs-based categories. From the editors of Cadalyst. Download now — no registration required! A free guide with 100+ freebies for CAD users! We're talking free software for all walks of CAD life — and all recommended by Cadalyst readers, contributors, and editors! What could be better? Download the new edition of this popular guide and you'll soon be asking yourself, "How did I live without this?" From the editors of Cadalyst. Download now. Which new and evolving technologies are having the biggest impact on CAD managers and users? What's catching on, and what's just hype? In a fast-evolving technological landscape, it can be hard to tell. 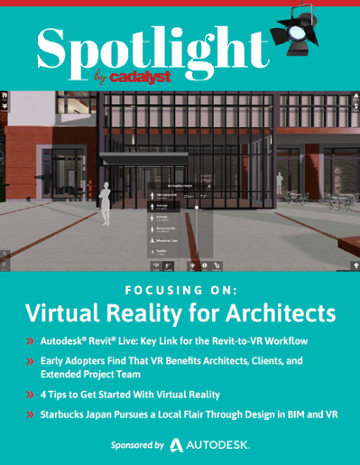 Download this free six-page report to read insights and predictions from six CAD software companies about how CAD and related technologies are changing. From the editors of Cadalyst. Download now. Generative design is opening new opportunities for solving design problems. It's also turning traditional workflows upside down, moving simulation ahead of model creation. 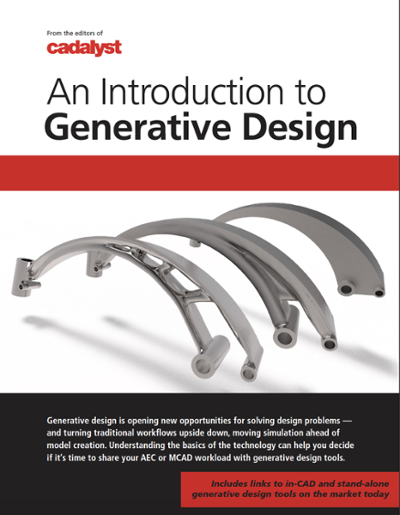 But what is generative design? It’s a category of technologies that suggests design options, or optimizes an existing design, to meet criteria defined by the user. Understanding the basics of the technology and terminology involved can help you decide if it’s time to share your AEC or product development workload with generative design tools. From the editors of Cadalyst. Download now. 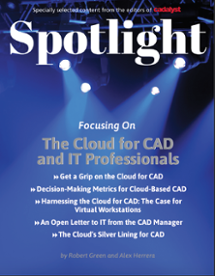 This Cadalyst Spotlight issue presents articles designed to help you understand how cloud technology is rapidly changing the development, procurement, and use of CAD software. Topics include decision-making metrics for cloud-based CAD, virtual workstations, and more. From the editors of Cadalyst. Download now. 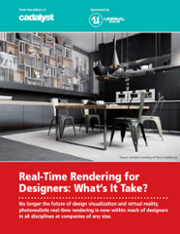 Real-time rendering is here now, and well within reach of architecture, engineering, and product development companies of any size. This 10-page white paper will help you better understand the technology, in particular Unreal Engine and Unreal Studio; discuss the realities of adopting Unreal Engine in terms of the learning curve and required time and financial investment; and present the payoffs for those who make the move. Sponsored by Epic Games. Download now. Today, the challenges regarding data and files for design-based industries are more diverse than they used to be — and they're evolving rapidly with the development of new storage and computing technologies. How are CAD developers approaching these challenges, and how are their strategies shaping our use of CAD data? Written by industry expert Randall Newton, this white paper provides insights into the complications of new devices and bigger file sizes; web services and the role of the cloud; and more. From the editors of Cadalyst. Download now. Cloud-based computing is reshaping the ways that software, hardware, and networks are acquired and deployed. It has already transformed a variety of enterprise services, but adoption of cloud CAD lags behind. What are the advantages, and the reasons for resistance? And what can CAD users expect from cloud solutions in the near future? 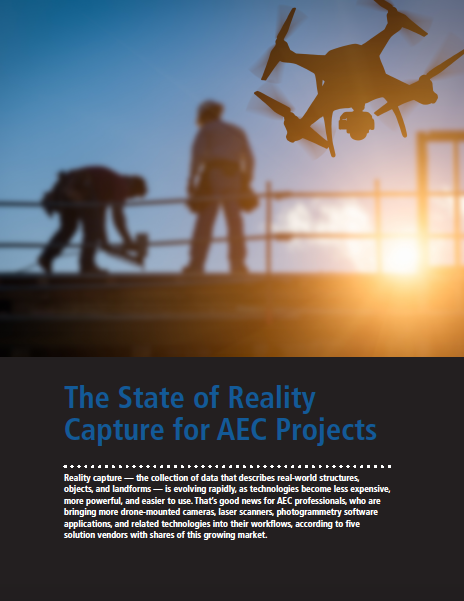 This eight-page white paper provides insights to give you a clearer understanding of what the cloud means for CAD users. From the editors of Cadalyst. Download now. Whether you've already begun switching from 2D to 3D software or you're still considering your options, this free guide by CAD management guru and industry expert Robert Green will help you draft a plan, gather resources, and manage expectations. This eight-page white paper provides advice about choosing a trial project, training users to become productive with the new software, and more. From the editors of Cadalyst. Download now. Have you dismissed the IoT as just another buzzword? Unlike some much-hyped tech trends, this one is here to stay. Take a quick look at the basics and you'll be better equipped to predict the impact of the Internet of Things on your job, your company, and your workflows. If the IoT isn't affecting your work yet, it will - so start preparing now with simple guidance from industry insiders. Download your copy of this free, eight-page white paper today to start your exploration of the IoT! From the editors of Cadalyst. Download now. 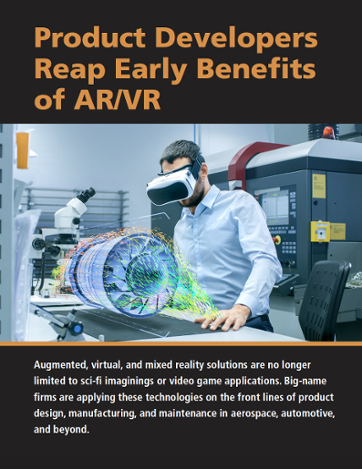 Augmented, virtual, and mixed reality (AR, VR, and MR) solutions are no longer limited to sci-fi imaginings or video game applications. Big-name firms are applying these technologies on the front lines of product design, manufacturing, and maintenance in aerospace, automotive, and beyond. This white paper, written by design industry veteran Randall Newton, explains the basic differences between the technologies and showcases notable examples of companies using them today. From the editors of Cadalyst. Download now. Wondering how to give the various materials in your drawings just the right look? Try a custom hatch pattern! The classic Cadalyst CAD Tips included here are longtime favorites of AutoCAD users. Simply download one of the prepared patterns, or craft your own with the LISP routines. From the editors of Cadalyst. Download now — no registration required! A good BIM manager is vital to an AEC firm's success. But what constitutes good BIM management? What does it mean to outsource BIM management, and when does it make sense to to do so? If outsourcing is right for you, how do you maximize its benefits and avoid the pitfalls? 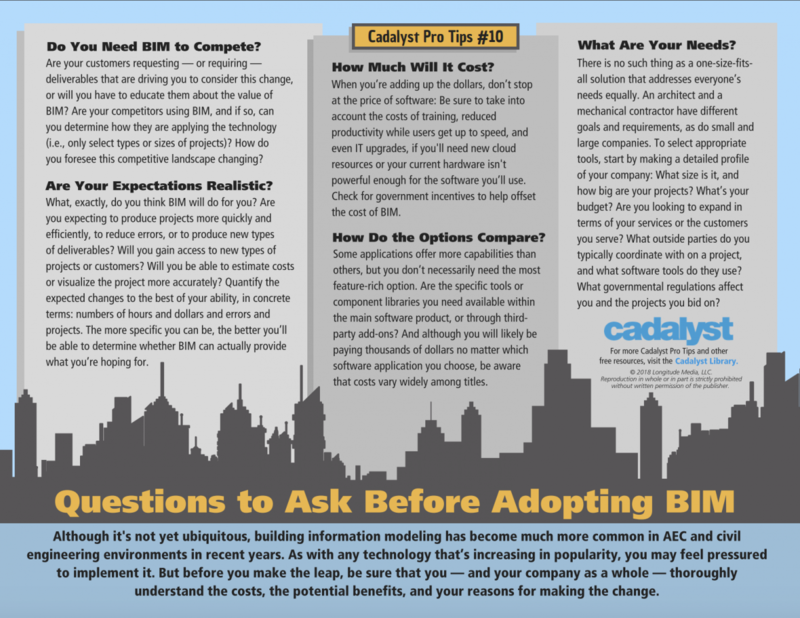 This whitepaper will answer those questions and provide the needed perspective to help companies make decisions that optimize their BIM initiatives. Sponsored by IMAGINiT. Download now. Teach your clients which model information can help them best manage their facilities - and in turn earn your clients' trust - and build your business. At the project hand-off phase, you need a clear idea of who is getting the data, what information that person needs, and how the data will be managed and kept up to date. Learn how to teach clients to get the most out of BIM data and in turn build your own business. Sponsored by IMAGINiT. Download now. Trying to decide between perpetual licensing and software subscription? Use our list to be sure you cover all your bases. From the editors of Cadalyst. Download now — no registration required! Although it's not yet ubiquitous, building information modeling has become much more common in AEC and civil engineering environments in recent years. As with any technology that’s increasing in popularity, you may feel pressured to implement it. But before you make the leap, explore the issue with a critical eye and answer the questions in this tip sheet. From the editors of Cadalyst. Download now — no registration required! Training is an essential task on every CAD manager's to-do list. But with all those little details to remember, preparing a clear, informative training session can be overwhelming. These handy checklists present helpful advice from CAD management expert Robert Green in a concise format that will help you deliver a training session that will make your users — and your boss — happy. From the editors of Cadalyst. Download now — no registration required! As a CAD manager, communicating effectively with upper management is essential. For example, to get your users the tools they need, you must convince the person holding the purse strings that those purchases are worthy investments. To make these conversations less challenging, try these field-tested techniques from CAD management expert Robert Green. Download now — no registration required! Trying to decide between perpetual licensing and software subscription? Many factors may influence your choice. 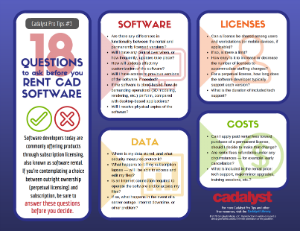 Download this one-page tip sheet to learn what to ask when making your next CAD software licensing decision. From the editors of Cadalyst. Download now — no registration required! This guide compiles three of Robert Green's CAD Manager columns: a two-part series on adapting quality control techniques for CAD, and an overview of common CAD management mistakes. Whether your problems stem from users who ignore standards, a company culture that doesn't prioritize quality, or self-sabotaging management techniques, this guide will set you on the path to greater efficiency, fewer mistakes, and better results. From the editors of Cadalyst. Download now. 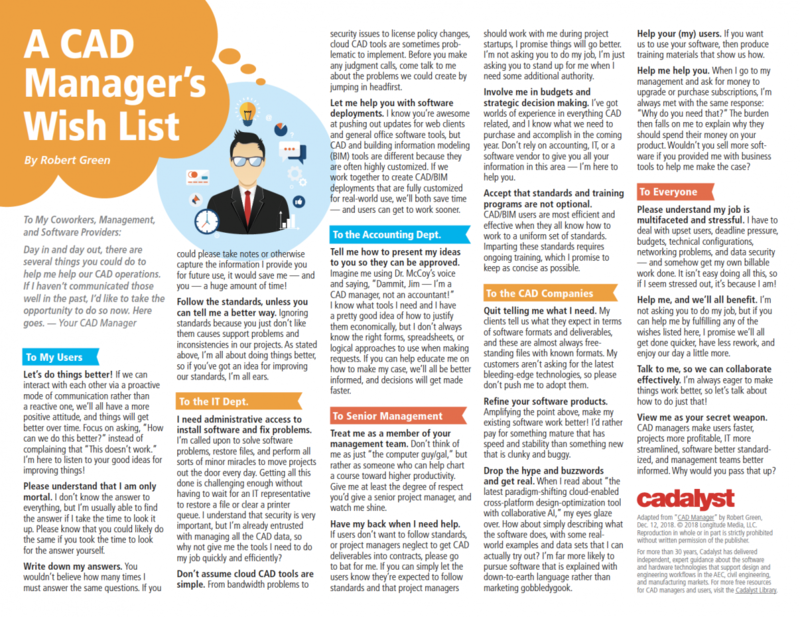 This list condenses main points from Robert Green’s CAD Manager column of the same name into a printer-friendly single-sheet resource. Get your copy for easy sharing with your users, bosses, other departments within your company, and more! From the editors of Cadalyst. Download now — no registration required! The CAD environment has changed, making CAD standards a much more complex — and perplexing — challenge than in the past. It’s time to rebuild your standards to reflect this new reality. 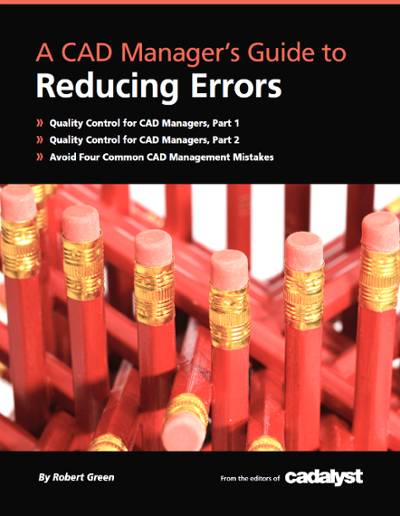 This 15-page guide features the practical advice and easy-to-follow action checklists that CAD management expert Robert Green is known for. 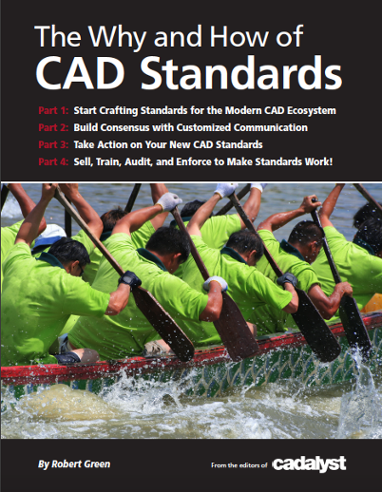 His entire four-part series of CAD Manager columns on standards is compiled here. From the editors of Cadalyst. Download now. 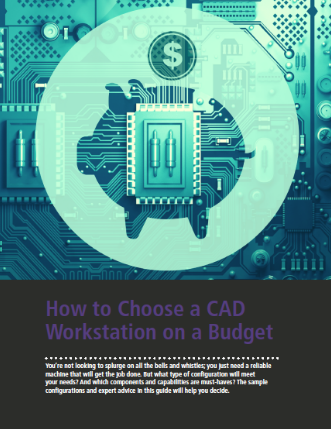 The editors of Cadalyst, with help from our contributing editors and readers who are in the CAD trenches day in and day out, have compiled this guide to helpful tools and resources that don't cost a cent. Download the new edition of this popular guide and you'll soon be asking yourself, "How did I live without this?" Download now.